The City of Maribyrnong is the smallest and most densely populated municipality in the metropolitan area. It sits on the Maribyrnong River, four kilometers west of the Melbourne CBD and covers a land area of 31.2 square kilometers. The residential population of 81,859 in 2014 is forecast to increase by up to 40 per cent by 2031. In October 2014, Council adopted the Open Space Strategy to guide the future provision, design and management of public open space in the City of Maribyrnong. As part of this strategy, the Maribyrnong Street Tree Strategy will establish 11,000 new street trees, to add to the existing 28,000 trees. It will support and grow the City’s street trees as an essential public green infrastructure asset, intrinsic to the City’s appeal and function. 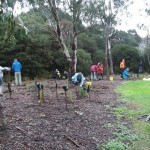 Many other greening initiatives are underway. 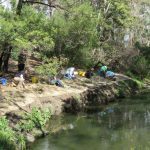 Community gardens are flourishing, revegetation along river corridors and creeks is in progress, and upgrades are improving function and amenity to Newell’s Paddock Reserve – home to wetlands, birdlife, wildlife, native plants and recreation areas for residents young and old. Council continues to work towards the creation, preservation and enhancement of its green spaces for the benefit of the environment and the wellbeing of its residents. 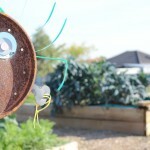 The Greening the West Strategic Plan aligns with the Council Plan 2013-17 – in particular, key issues like planting more native flora, establishing more local food production initiatives, greening Maribyrnong and creating more open space. Council supports Greening the West’s aspirations to improve community health and combat the growing threats posed by climate change and transport-related pollution.